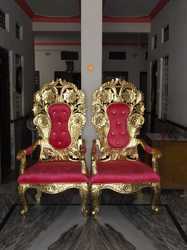 We are a leading Manufacturer of traditional wedding chair, small sangeet chairs, asian wedding chairs, royal indian wedding chairs and throne style wedding chairs from Delhi, India. 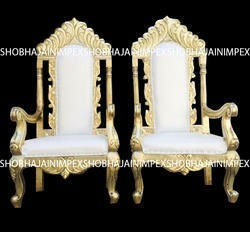 The furniture for wedding is precious in itself like the wedding day in anybody’s life. It’s the furniture that gives liveliness to the wedding. 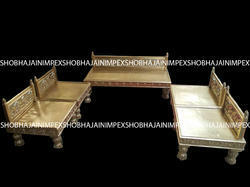 Therefore, we are presently our beautifully and ergonomically made Wedding Furniture that is available in varied colors, designs, sizes and themes. The furniture can be provided in wooden. Metal, fiber and more material as per the customer’s prerequisite. In addition, our furniture can be included in any wedding theme. Each design is small and efficient in size that allows customers to add more furniture for their guest. 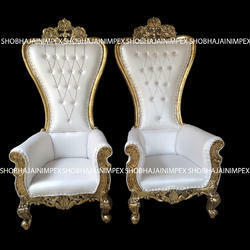 Moreover, our Wedding Furniture increases appreciation of the wedding among customer’s guests. Looking for Wedding Chairs ?